Ships from and sold by FastMedia Ships from USA. 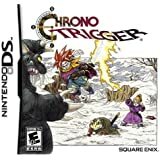 I feel this game is sightly overhyped, but it definitely deserves it's title as one of the greats on the original DS. The characters are interesting and the gameplay is fun. The gameplay can be repetitive, but that's why the battles being optional is such a great thing. You can either just get straight to the main missions, or spend hours cutting down noise. I like that. I won't spoil the ending, but I felt the ending was a bit empty. It left a LOT of questions from the main story unanswered. Then it tells you that in order to get that missing information, you gotta play it again post-game. This bugs me a LOT because it feels like it's just refusing to give me the whole story unless I want a second playthrough. The replay ability is fairly high, but I didn't like the post-game so much. You have to find specific items to meet the requirements to get those answers, and they can be difficult to track down. It should be easy with a walkthrough, but I don't know. I just didn't love it enough to wanna play the post-game, especially since said post-game is just the same damn story all over again but with key differences. Who knows, maybe I just got the "bad" ending. That is why I gave the game 4 stars, but I'd still recommend it. It's probably a nitpick. Completionists might have fun with it, but I usually buy games for gameplay and story, not to get every item and unlock every little thing. The combat is done with the touch screen, so I really DON'T recommend playing this unless you've got a screen protector on it. By the end of your first playthrough, the screen will be so scratched up you can't see what's being displayed. This is seriously bad because game stores won't buy a handheld with a scratched up touch screen. This game is great, but it's probably a specific taste. So I would definitely suggest that you look up reviews and let's plays of the game on Youtube before buying it yourself. But I do think most people will enjoy it. Maybe it's slightly overhyped, but the respect it gets is well-deserved. As for the physical product... Yeah, it's CIB and even has the plastic wrap on it. So if you're gonna buy this game to sell it later when it game's more expensive... do it. This was literally unopened and never used when I got it, which is great if you're collecting. And considering that this is widely considered a classic, the price WILL go up over time. It's a good game that's fun to play and has an interesting story, even if the end isn't the best in my opinion. But don't let that stop you; GET THIS GAME. Just be sure to research the gameplay before you do, as it's play style isn't for everyone. 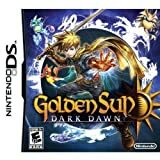 There are few games that qualify as amazing, and even fewer 3rd party DS games. Believe everything you are told about this game. Its really that amazing. From the soundtrack that sounds more like an eng/jap rock mix tape to the unique art style to the amazing story and even the game's odd and unique but amazing gameplay, theres really nothing bad to say about this game. Even if you don't have a ds you can still enjoy this game on your phone/tablet. 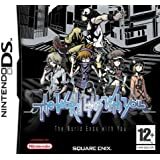 The World Ends With You: Solo Remix is just about everything thats great about the first game plus even more. 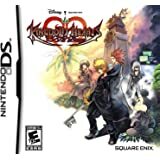 Don't bother reading a ton of reviews, or waiting for a price drop. Take it from everyone who has ever played this title; just buy it, play it, and treasure it. Few games achieve this level of greatness and are remembered so fondly this many years after release. This is one of those gems. Not a bad game. 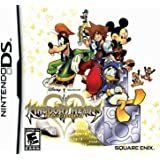 I only just learned about the game after seeing the main character, Neku, in Kingdom Hearts 3D Dream Drop Distance and decided that this game is going to part of my bucket list, which hopefully I have a long time to finish. 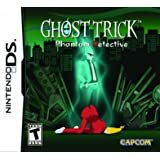 I would have bought this on my phone, but for the cost, I said that "I might as well buy the DS version and play it on my 3DS." First of all, this is one of those games on DS that requires you to learn a "different" control scheme than other gamers maybe used to. Looking back, I wasn't really surprised about it, since a lot of developers had some strange way of controlling the playable characters, but here, you control two characters on different screens. You control Neku by the means of the touch screen, and you control the other character by using the d-pad, or the Circle Pad if you're playing on the 3DS. I didn't find the battle system hard to learn, but sometimes, some actions don't register, such as the power of the Pyrokinesis pin you get early in the game. I also think that, story-wise, it's interesting, but I haven't got far into the game to talk about specifics. 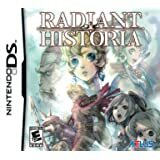 Graphics-wise, the animation looks great, even on the 3DS, and I like the presentation of the game overall. 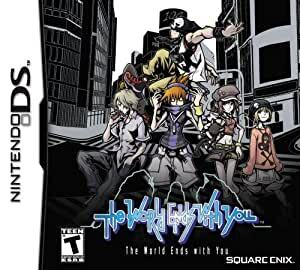 Other than that, I think that this is a good game to have in a DS collection, and it's surprising that I never heard about it until Neku's appearance in Kingdom Hearts.